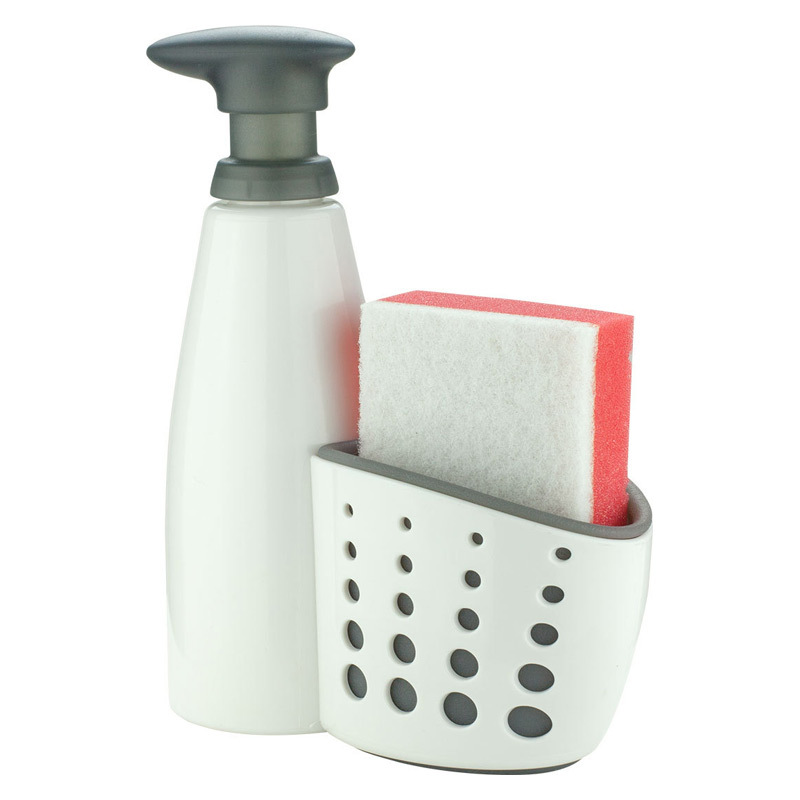 Keep the soap and sponge readily available in a smart all-in-one organiser. Soap dispenser holds 380 mL of hand- or dish-washing liquid. Holds and comes with a double-sided scourer sponge. Narrow design to fit behind the sink. The Sink Sider Soap Dispenser helps you reclaim bench space by keeping the two most-used items available at your fingertips: the soap and a sponge. The soap dispenser holds 380 mL of hand- or dish-washing liquid, while the integrated sponge holder means you'll always know where you've left it. Plus, it also comes with a two-sided scourer sponge. 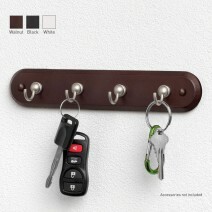 Also handy for the bathroom to hold your family's toothbrushes. The dispenser fits in the narrow area at the back of sinks and features a soft flexible liner to prevent it from moving while you're using it and washing the dishes. 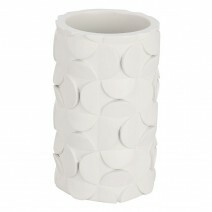 Made of quality lightweight plastic it is easy to keep clean, while the white and grey colours will match any décor.